This entry was posted on October 2, 2017 by Rachel. You want to use your mobile phone, but do not want to get it out of your pocket? A smartwatch makes it possible - because it can display far more than just the time. 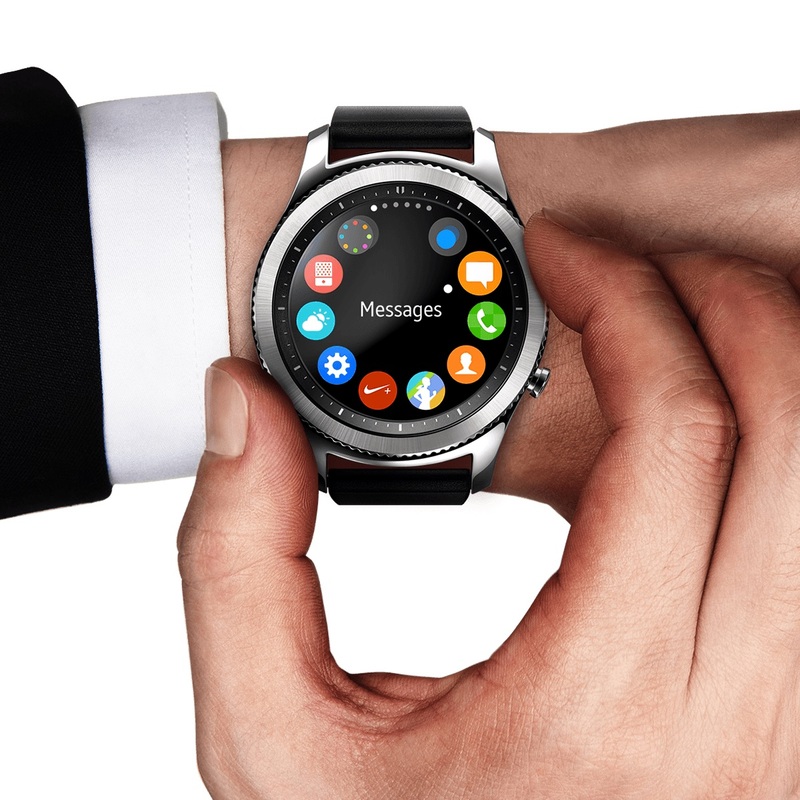 The smart watch is connected to your smartphone or as a separate device with its own SIM card slot. Like on your phone, you can also download apps from the Play Store or the Apple Store, thereby expanding your Smartwatch with many features. All the information you receive on your mobile phone can also be accessed on the Smartwatch. You can read messages from the email app or messenger, and stay up to date with notifications from your social networks. This makes communication even easier! We fought through the jungle of the Smartwatch manufacturers and introduce you today in the Smartwatch comparison the best models. The Casio Smartwatch features a dual-layer display. The first level is a round LCD display with a resolution of 320 x 300 pixels. The display is touch-sensitive and is controlled by gesture control. The monochrome display is located above the touch screen. The black-and-white screen becomes active as soon as the LCD screen goes out. This second display is particularly energy-saving and can be read easily even in the sun. In addition, the Casio WSD-F10 scores with an outstanding battery performance. It will last for more than 38 hours, while continuously receiving messages and displaying them on the display. The Casio Smartwatch is also a reliable companion in outdoor applications thanks to numerous tool applications. These include, among other things, a compass, a height meter and a sun visibility indicator. Smartwatches not only facilitate communication, they could even replace the mobile phone in the near future. The Huawei Watch 2 works even more independently thanks to the new Android Wear 2.0 software. If you have left your smartphone at home, you can even phone with the 4G version of the clock with a slot for SIM cards. Also in the design category, the Huawei Watch 2 has a lot to offer: There is a 1.2 inch touch screen with a resolution of 390 x 390 pixels. The AMOLED display has a good sharpness with a spot density of 326 ppi and can be easily read even with bright backlight. To keep the display intact, it is protected with Gorilla Glass. Instead of a crown, there are two buttons on the edge of the Smartwatch. Through these you get to the app menu or the different sports modes. The Huawei Watch 2 also plays a good role when it comes to sports with its pulse sensor and the function of transmitting songs wirelessly to Bluetooth headphones. Since the launch of the first Apple Watch in 2015, the Smart Watch from Apple has already made great strides. Although the improvements are not visible on the outside of the watches, some things have happened inside Apple Watch. Native apps can be started faster thanks to a dual-core SoC processor, you can switch from app to app more smoothly, and in the future, more complex apps will run problem-free. While the first generation of the Apple Watch was still within reach of the iPhone, so that all functions can be used, the Apple Watch Series 2 thanks to its own GPS module is noticeably more independent. The distinctive rectangular display with OLED technology is the brightest ever made by Apple. 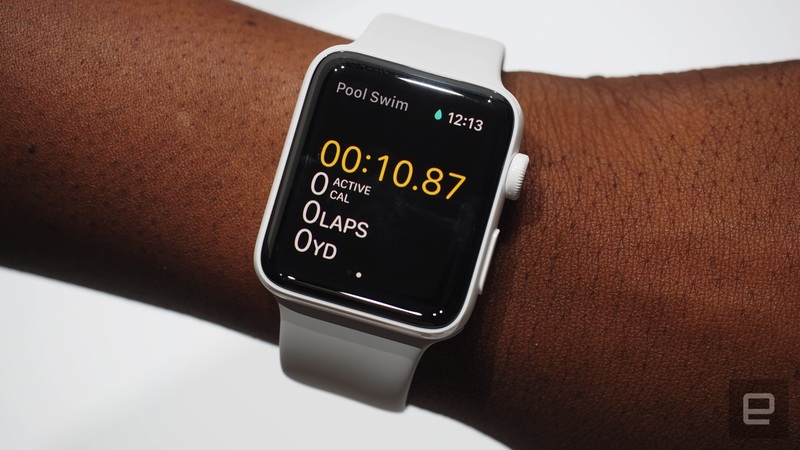 The Smartwatch is waterproof and therefore enjoys great popularity with swimmers. In the category of battery life, in which Apple left with the iPhone's left to be desired, there is little to complain at Apple Watch number 2: with lasting 32 hours and 39 minutes, the clock in the Smartwatch Comparison well. The Samsung Gear S3 Classic is clearly the favourite in the Smartwatch comparison. Unlike most smartwatches, it is not equipped with the popular Android Wear. Instead, it runs with Samsung's operating system Tizen. A little shortcoming is the renouncement of the Google Play Store with its varied offer, because Tizen is a comparatively meager app selection. This minus point does not matter, however, since the Samsung Gear S3 Classic otherwise meets all expectations of a modern Smartwatch. The Smartwatch impresses with design and equipment. The 1.3-inch display with a resolution of 360 x 360 pixels and a pixel density of 277 ppi results in a particularly sharp image. The Gear S3 Classic also performs best when it comes to background lighting and control. With a battery power of 31 hours and 50 minutes under continuous use, the Samsung Gear S3 Classic is still in the category of better models in our Smartwatch comparison. A high level of responsiveness thanks to excellent hardware round off the equipment. Do you think smart watches could replace smartphones in the future? We look forward to your comments in the comments. This entry was posted in High-Tech Gadgets, Accessories and tagged smartwatch, best smartwatch, battle of brands, comparison on October 2, 2017 by Rachel.